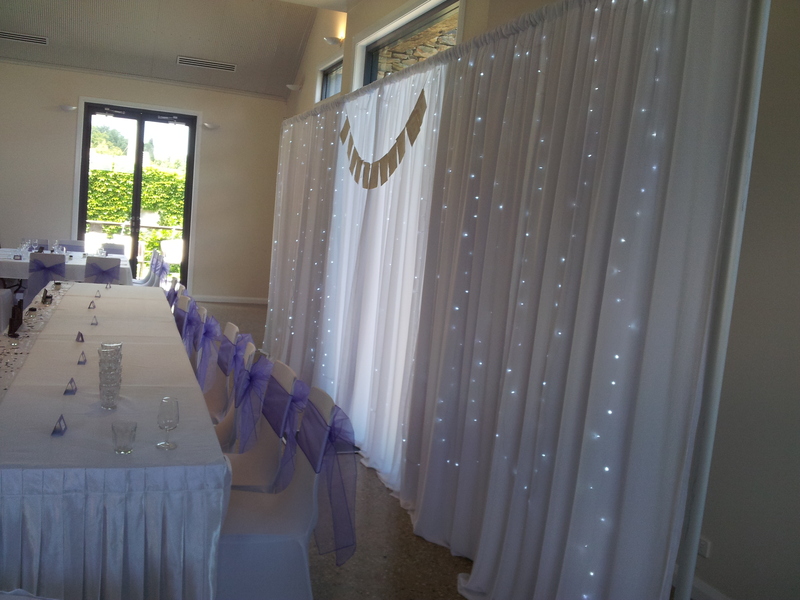 in 3m or 6m lengths. 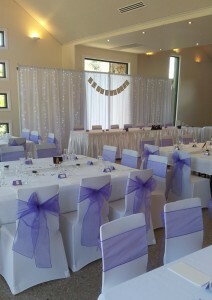 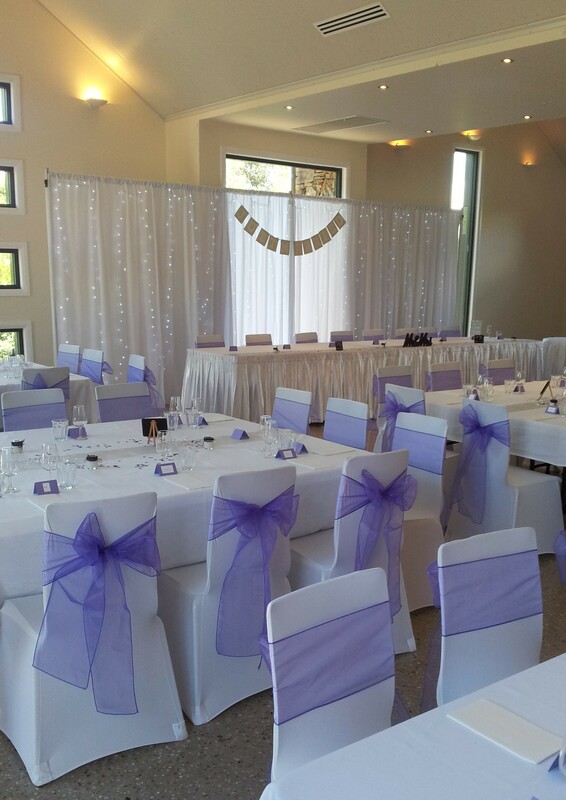 6m is the perfect size for a bridal table of roughly 8 – 10. 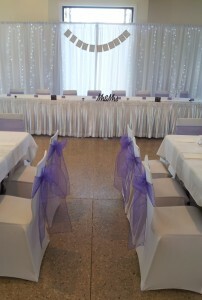 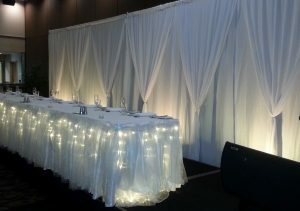 The backdrops are white organza and come with various lighting options.